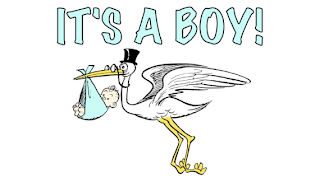 Unorganised Chaos: The Royal Baby Is Here! Since the London 2012 Olympics and the Queen's Jubilee, it feels like there's been a noticeable increase in the Patriotism of the British people. Yesterday proved that more than ever. Kate Middleton, The Duchess of Cambridge and Prince William were expecting the birth of their first baby...and the rest of the World, not just our country, were anticipating the arrival too. The news footage started early yesterday morning but reports had been active for weeks and weeks now. I can freely admit, babies make me emotional. They're so little and cute. However, you can't help but feel a little sympathy for babies born into the Royal Family - they really are blissfully unaware of the pressure and responsibilities they will have to take on for the rest of their lives, after all, nobody can give up the duty of being a Royal. 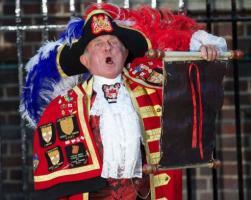 The Town Crier announcing the birth of the new baby. I LOVE traditions like this. Traditions are one of the reason I love being British. We uphold the things that make us British. I mean, this guys in a traditional garb? What a sport! The Royal Baby is yet to be named but there's been a lot of speculation...and a lot of rather humorous suggestions on Twitter. So hopefully later on today we will see and the World can have yet another distraction of the naming now the birth is over. Congrats Will and Kate... but come on, let's make this an annual bank holiday! Oh and if you are bored of it, check this out.